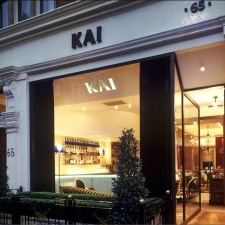 Michelin starred Kai can be found discreetly tucked away on South Audley Street. With Malaysian chef Alex Chow at the helm, the Mayfair restaurant promises expertly executed Pan-Asian cuisine served within its attractive dining room. The extensive wine and drinks menu available, including traditional Chinese aperitifs, prove the perfect accompaniment to the fine food on offer. With a name as fabulously Italian as that, how could it fail? Michelin-starred Locanda Locatelli is a truly wonderful restaurant. Relaxed but refined, Maze Grill offers a contemporary place to enjoy the best of British. Serving big portions of delicious Chino-Latino fare, Asia de Cuba delivers any time of day, whatever the occasion.